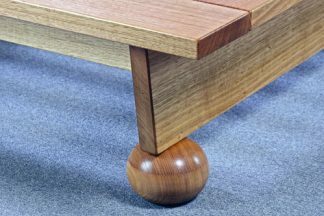 All our leg designs come fully integrated, offering unlimited aesthetic options for your bed frame. Have fun exploring the endless options and choose a leg set that expresses your own unique style. 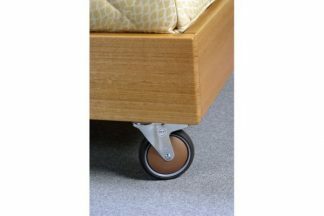 Our Box Frames have the largest range of leg sets that can be fitted to them, including solid timber balls, feature leg blocks, castors and even the full length Kuki Support Bearers. They can easily be reconfigured to the inverted position, offering a completely different look and easily removed or added at anytime. The standard box frame legs come in numerous heights. High is the most popular, followed by extra high and then low, for the low line look. 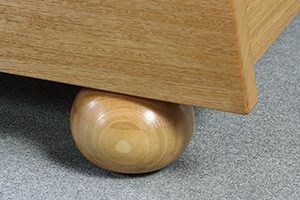 All legs have a duel height feature, allowing you to choose from two overall bed heights at any time, a useful feature if you decide at anytime that you prefer a different height. They come in various widths, including 9cm, 14cm and 19cm. 14cm is the most popular, followed by 19cm and then 9cm if a more discrete look is required. They come with a slight angle or straight if you prefer a straight line feature. 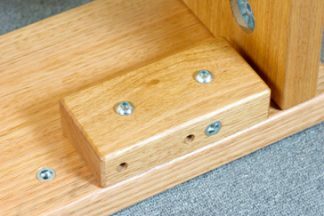 If you wish to fit any of our feature legs, castors, balls and support bearers to our box frames or lounge beds, you will need our multi block set. Multi blocks or L code standard legs come included in the box frame price. 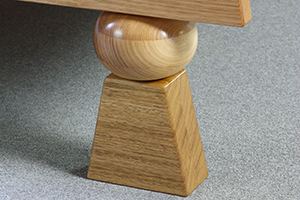 All the feature leg sets are priced separately as a set of four. 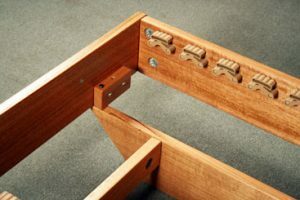 The Kuki Box Frame design includes the Kuki Support Bearers; if you wish to fit the Kuki Support Bearers to any of the other box frames you can purchase them separately and fit them at any time. 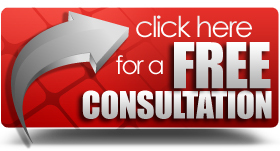 Free 1 Minute Latex Mattress Assessment.